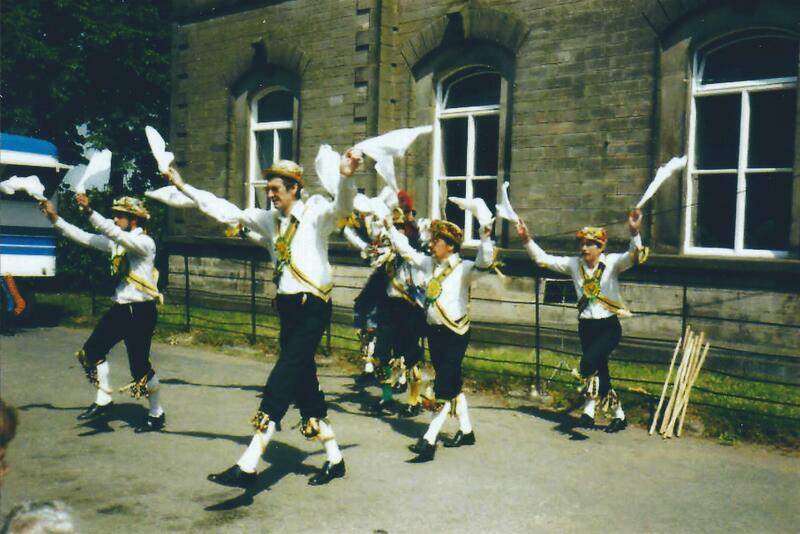 April: Mansfield MM Day of Dance walking tour – more ale! 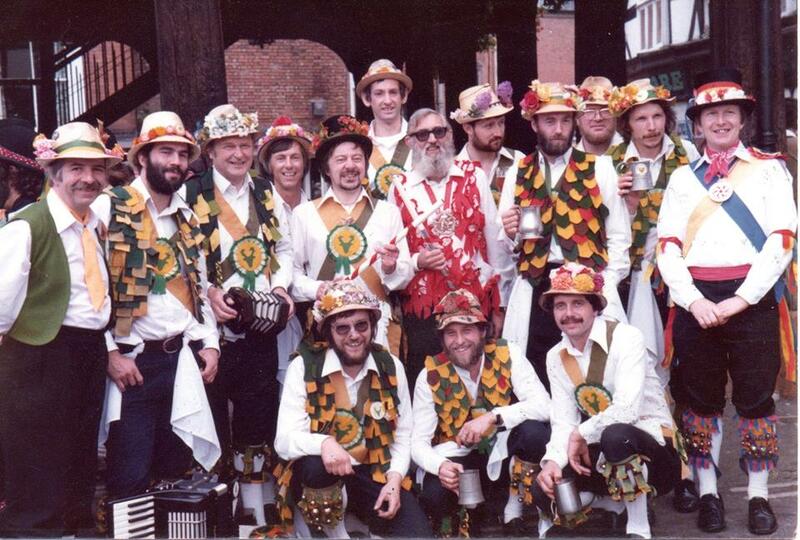 June: Ledbury Ring Meeting. 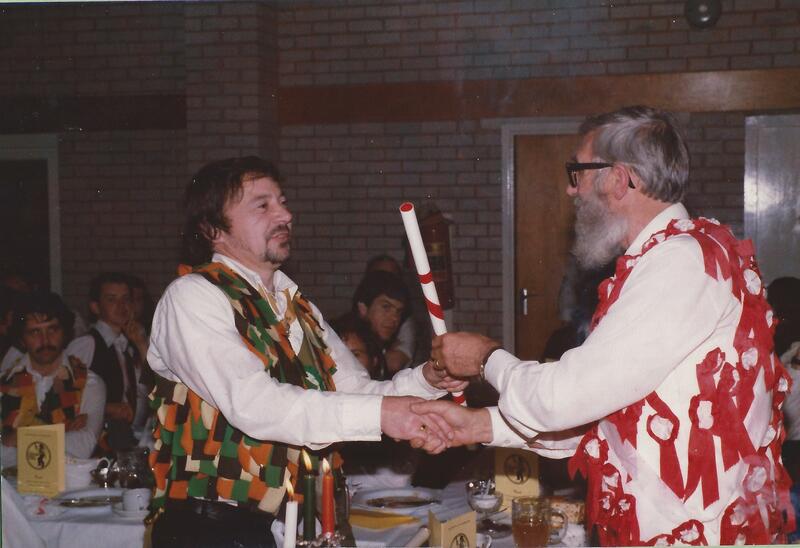 Proud moment as Jim (Squire) went up to receive the staff of office from Ivor Allsop (Squire of the Ring). Moment immortalised as Jim’s arm bands caught fire as they dangled over the candles on the top table! 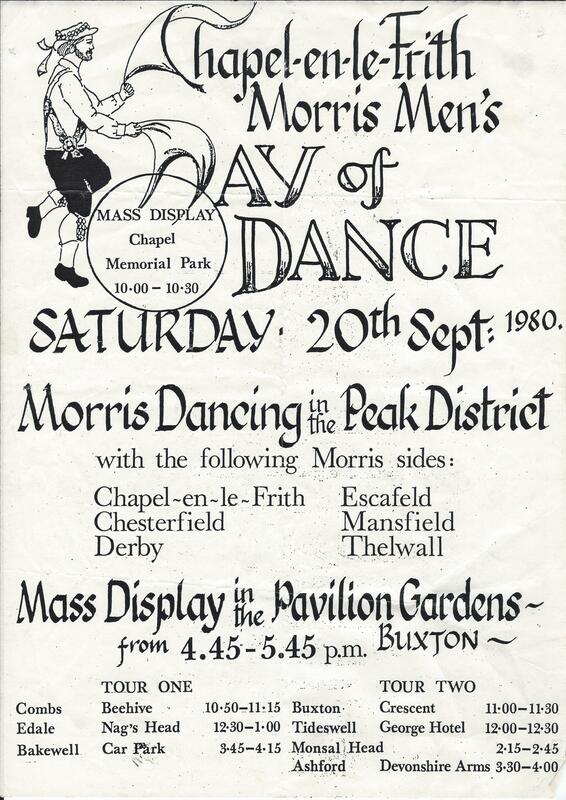 September: Chapel MM first ever Day of Dance and Feast Guests included: Chesterfield MM, Derby MM, Eascafeld MM, Mansfield MM and Thelwall MM + Kenneth Loveless, Squire of the Morris Ring. Kenneth Loveless satyed at Jim’s house with Arthur acting as butler.